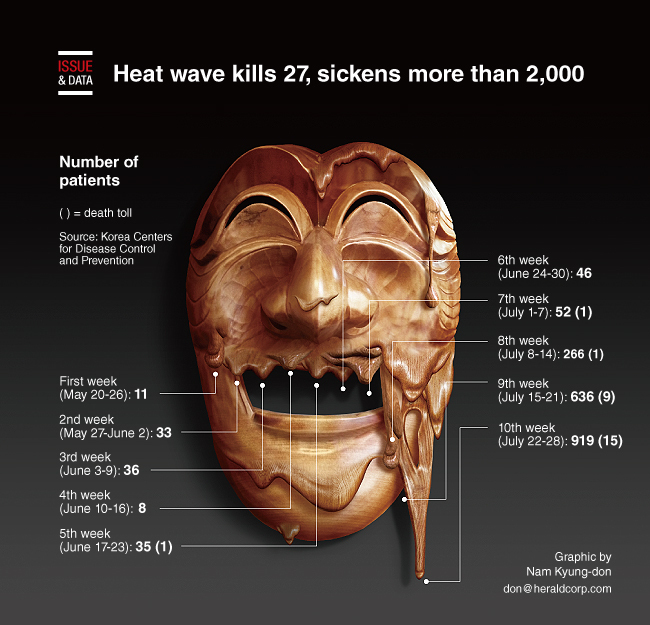 A heat wave in South Korea had killed at least 27 people, according to the Korea Centers for Disease Control and Prevention on Sunday. A total 2,042 people were medically treated for heatstroke and other heat-related symptoms from May 20 to July 28, government officials said. Sixty percent of patients were older than 50, however those 20-40 have also been at risk of illness as the record heat wave continues.